This is a big deal, so read carefully. A significant opportunity to improve the demand picture for your IL Corn in underway in Mexico. Due to the work of the U.S. Grains Council, with support from your IL Corn checkoff dollars and state-level experts, the Mexican fuel market will soon enjoy the opportunity for 10% ethanol. This came about through an intensive effort that was also supported by the ethanol industry. 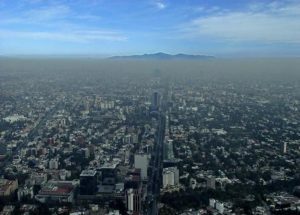 The air-quality in Mexico’s cities, especially in Mexico City, is alarmingly poor. The area had made gains in air quality over two decades but recently has experienced some backsliding. This is due in part to a growing population, with over 21 million people now there, and bringing with them their automobiles and commutes. One way to offset that additional pollution from the growth in the number of tailpipes is to improve the fuel on the front end. That’s where your corn-based ethanol comes in. The Mexican Energy Regulatory Commission (CRE) announced recently a change that will increase the maximum amount of ethanol that can be blended in Mexican gas supplies from 5.8 percent to 10 percent, except in the cities of Monterrey, Guadalajara and Mexico City. Mexico’s regulators moved in August 2016 to allow ethanol in local fuel supplies, except in its three largest metropolitan areas. In its decision, the CRE recognized the benefits of E10, which will help demonstrate that a 10 percent ethanol blend can positively contribute to air quality improvement and reduced cancer risk throughout the country. The Mexican Institute of Petroleum is also studying the merits of E10 blends.